Here at Axis Sports Medicine, we have several physical therapists with training in Women’s Health. We treat incontinence, pelvic pain, prenatal and postpartum care, and a variety of other women’s health issues. How can physical therapy can help with these conditions? Just like treating any other musculoskeletal condition, our physical therapists evaluate each patient individually and work on improving strength; in women’s health cases, usually the pelvic floor and core musculature. When treating incontinence, the therapist will evaluate the patient’s eating, drinking and voiding habits and will educate the patient on factors that may be influencing their incontinence. Additionally, a pelvic floor exam will evaluate the strength and weakness of the pelvic floor muscles and the therapist will determine an appropriate exercise program. With the proper exercise regimen, and diligence by the patient, incontinence can be dramatically reduced and even completely resolved. Pelvic pain is a rather complex problem and needs to be evaluated in-depth. Often a patient experiencing pelvic pain will need interventions such as biofeedback to learn how to relax or contract the pelvic floor muscles. Electrical stimulation may be used for pain and muscle re-education, and soft tissue work is frequently needed to release tight and painful muscles. Of course, patient education is always a big part of treating any type of pelvic floor dysfunction. 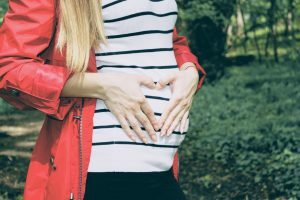 Pregnancy-related issues frequently include low back and sacroiliac pain, due to the changes in a pregnant woman’s body. The physical therapist can manually treat a pregnant patient and give them an exercise program to minimize these aches and pains. Sometimes a pregnancy belt or SI belt may be suggested to provide more support and stability to the involved structures. Postpartum problems often include pelvic floor weakness, incontinence and diastasis recti (abdominal muscle separation at the midline). Treatment, including an exercise program under the guidance of the physical therapist can resolve these issues. As always, a little prevention goes a long way, so we highly advise consulting with our physical therapists during pregnancy!